REDUCED TO SELL NOW! Views of Downtown and Coronado bridge. Master suite, bedroom, and entertainment area all on the main level. 3 rooms downstairs offers ample space for extended family or AirBNB w/ a kitchenette & 2nd Laundry. 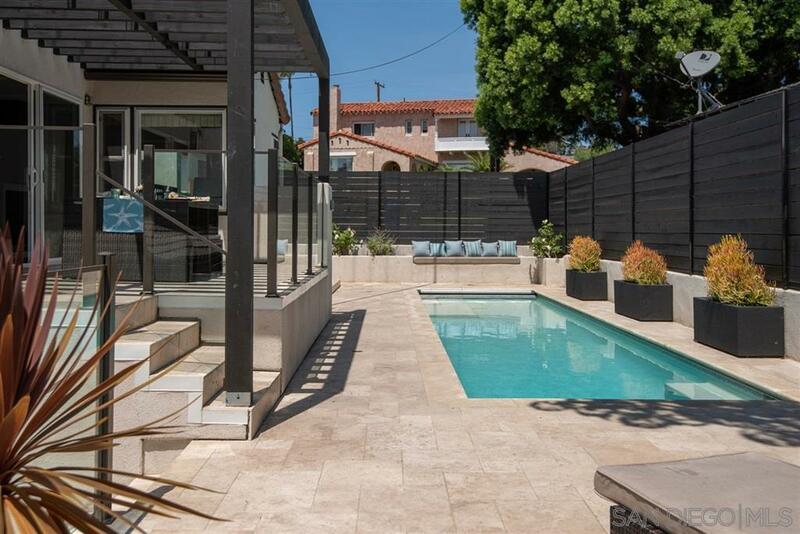 Large patios for outdoor entertaining w/ views of the pool (with walk-on safety cover) & yard. Fully gated & key pad secured yard for pets & kids. Solar water heater. Quality Construction-Not a Flip. Seller Motivated - Must See - Bigger than it looks., From ground up, this home was redone in 2016. Dual zone cooling and heating with NEST. Downstairs Office and Laundry not included in the square footage. Permitted space considered finished crawl space. 2142 usable finished square footage.